Give us 1, 2 or 3 days – and we’ll change the way you see the world. Equip all levels of your Organization with a learning experience they won’t forget – and that prepares them to make the changes needed to deliver a superior Customer experience. Periodically, we run some of our Workshops publicly – meaning that they are held at a specific time, date & location and for which we accept registrations from anyone who would like to attend. You can view our Public Calendar below. We don’t run all our Workshops publicly. So if you’d like to see a complete listing of all of our Workshops simply visit Our Courses page. We provide a robust series of Public Programs to allow organizations to equip a smaller number of Participants with the advanced knowledge & skills including Contact Centre operations, Customer experience management, leadership, email writing, Live Chat management, coaching, omni-channel mastery and more. When Participants from different organizations sit together in one room and exchange ideas and challenges – a whole new type of learning takes place. This highly interactive and personal style of learning is why we always keep our group sizes for Public Programs small – with not more than 8 or 9 Participants in any single course. 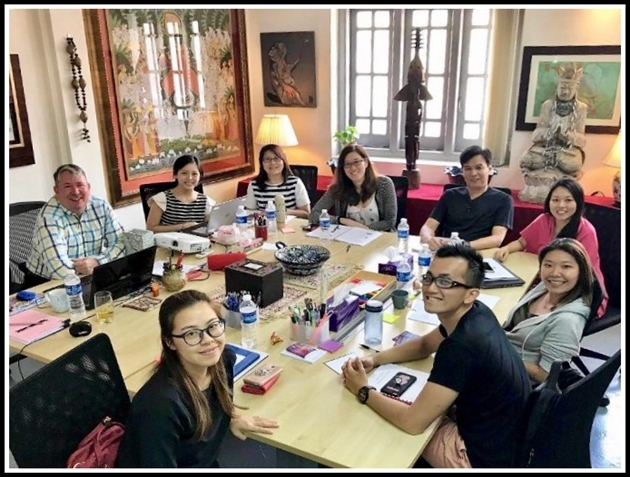 In Singapore, our Public Programs are hosted in our shophouse art gallery – an environment full of art that makes it feel more like home – and most definitely not the sterile white classrooms that really nobody likes. We are also thrilled to host Participants from overseas and have welcomed guests from Saudi Arabia, China, Sri Lanka, The Maldives, India, Kenya, Indonesia, Malaysia, Thailand, Vietnam and more.